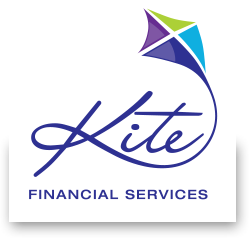 Kite Financial Services – helping you and your family with lifes changes. If you are retrenched, you’ll have a lot of issues to consider. For some, retrenchment can lead to an exciting new beginning. For others, it can be a source of emotional turmoil with the potential to cloud good judgement. Whatever your situation, it’s important to get sound financial advice on your entitlements and how you can make the most of the money you receive. If your employment termination payment has a number of different components, we can explain what each component is, estimate its tax liability, and explain the implications of the various options available to you. We’ll talk to you about your plans and whether you expect to continue working full time or part time, or retire early. If you’re unsure how best to use your lump sum payment, we’ll consider your financial situation and show you different options. For example, we might look at whether it is better to reduce your mortgage or contribute to your super. If you decide to invest all or some of the money, we can recommend investments based on your particular needs, situation and risk profile. To find out how we can help you make the most of your redundancy payment, call 1300 695 830 or email us.